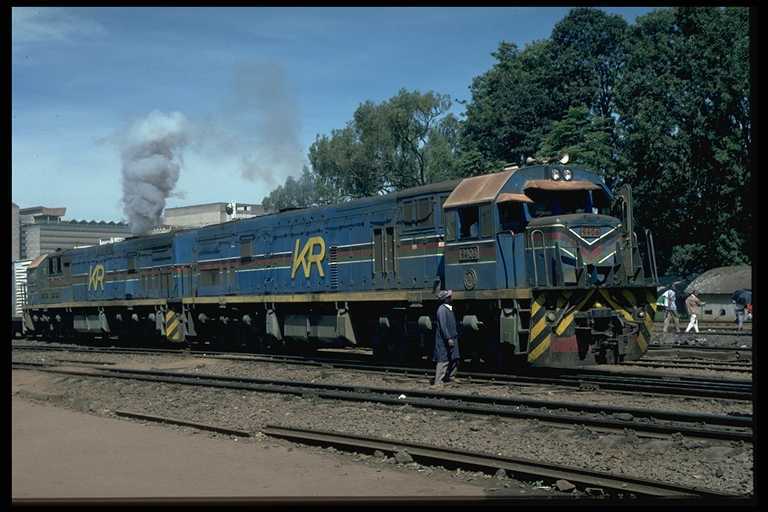 In 1977 the East African Railways Corporation (EARC), formerly the East African Railways and Harbours Corporation (EAR&H) was broken up. 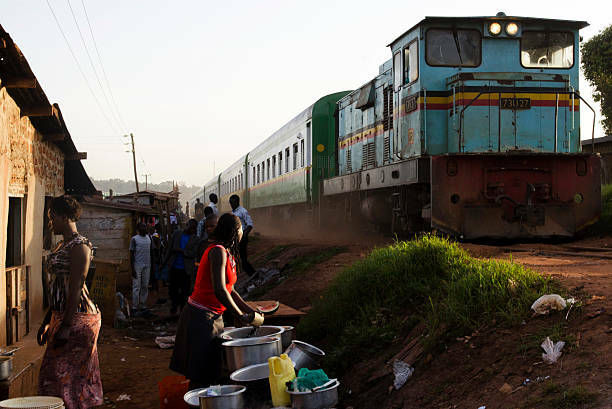 The three countries which made up the East African Community were unable to agree about many things and it became necessary for them to go their own ways. 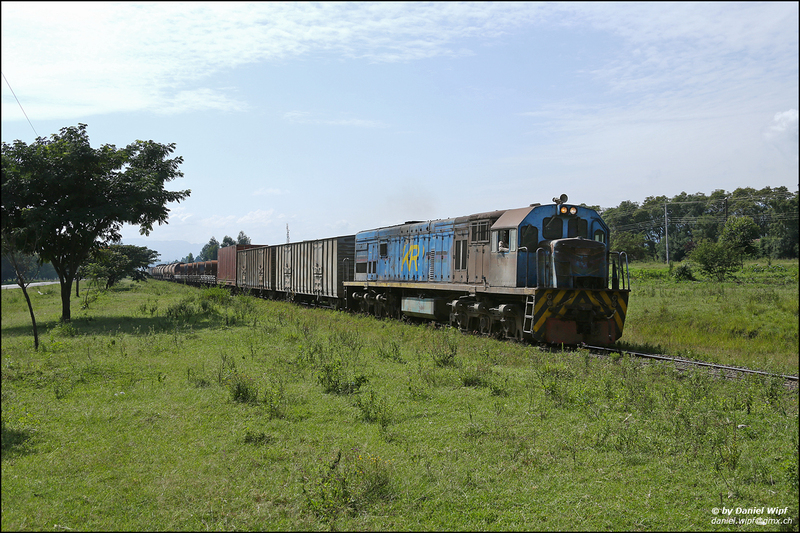 Three railway companies were formed: Kenya Railways Corporation;  Uganda Railways Corporation;  and Tanzania Railways Corporation. 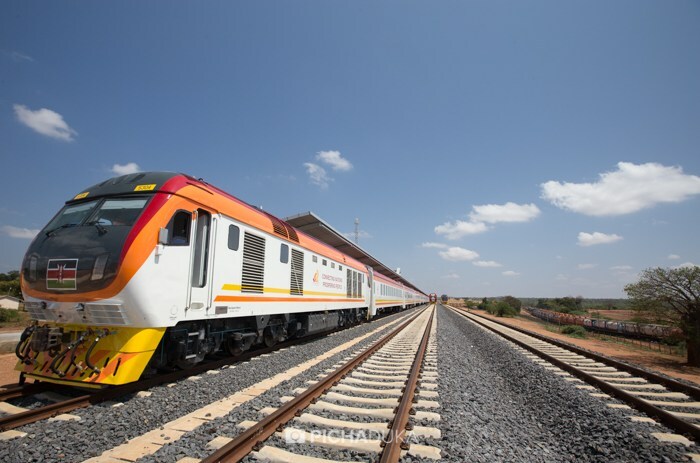 In this post we will focus on the first two of these and on later arrangements with Rift Valley Railways which ended in 2017 when the two Corporations were reformed. 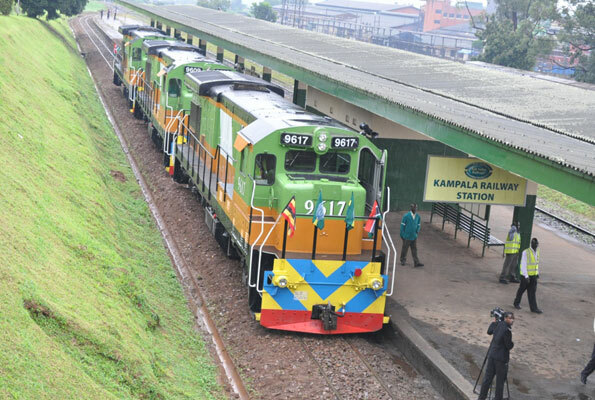 At the end of the post, which is essentially about narrow-gauge railways we will highlight developments relating to the new standard-gauge lines which may well dominate the future in Kenya and Uganda. 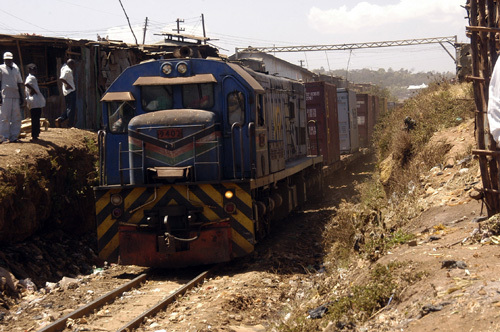 In 2008, after negotiations with the Southern Africa Development Community (SADC) and the Common Market for Eastern and Southern Africa (COMESA), the EAC agreed to an expanded free trade area including the member states of all three organizations. 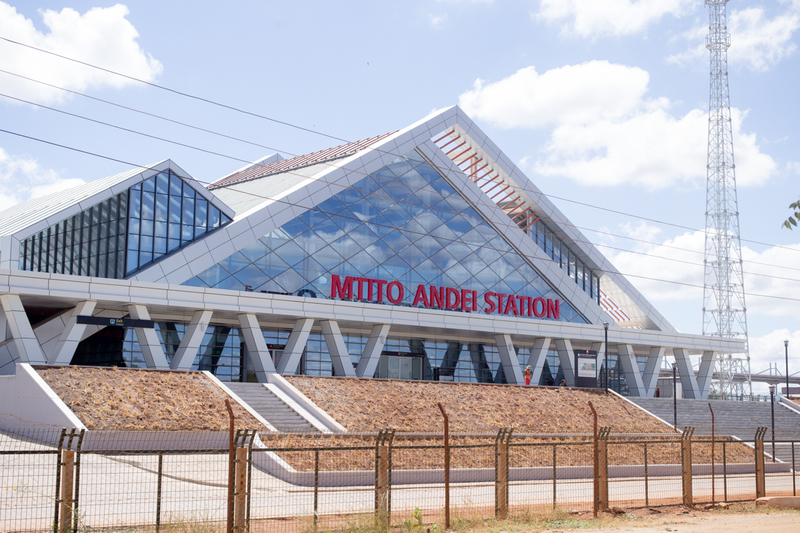 The EAC is an integral part of the African Economic Community. 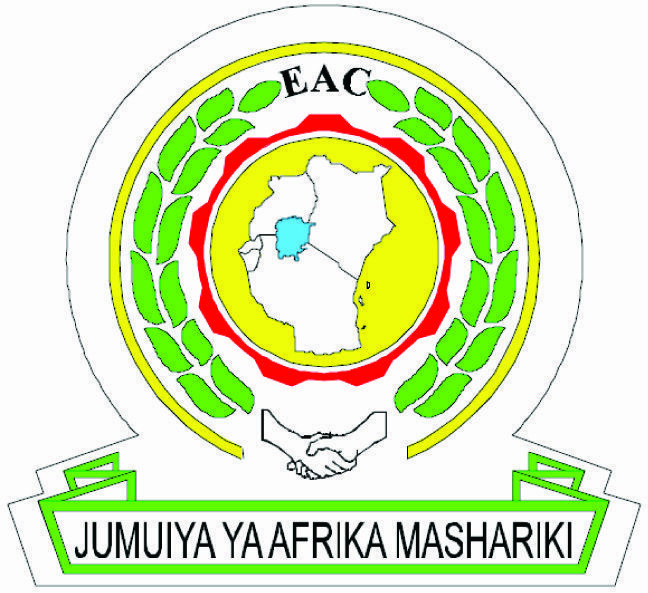 In 1977, the EAC collapsed. 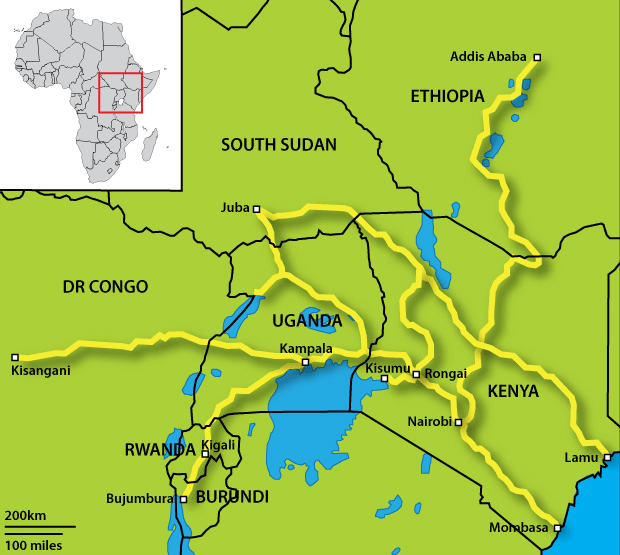 The causes of the collapse included demands by Kenya for more seats than Uganda and Tanzania in decision-making organs,  disagreements with Ugandan dictator Idi Amin who demanded that Tanzania as a member state of the EAC should not harbour forces fighting to topple the government of another member state, and the disparate economic systems of socialism in Tanzania and capitalism in Kenya. 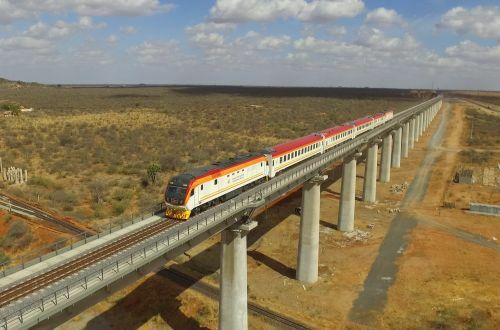 The three member states lost over sixty years of co-operation and the benefits of economies of scale, although some Kenyan government officials celebrated the collapse with champagne. 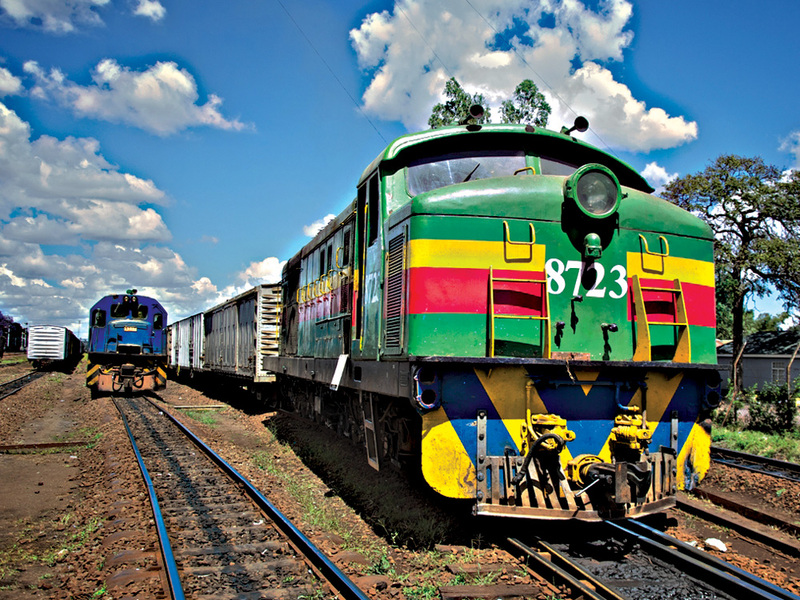 The collapse of the East African Community saw the railways split three ways and the stock was similarly dispersed. Inevitably stock was renumbered. A typical example is 4-8-0 steam locomotive No. 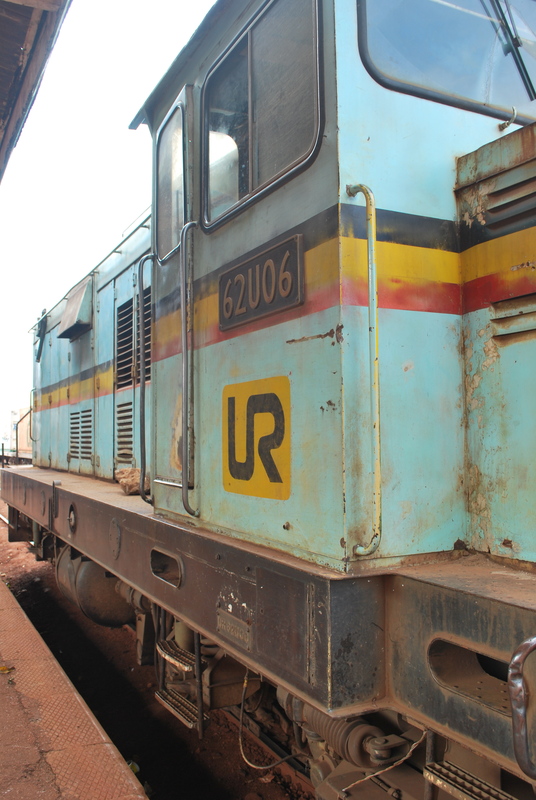 2401 which ended up in Uganda and can still be found at Tororo in a dilapidated state. Kenya took No. 2412 and renumbered it for the class leader No. 2401. 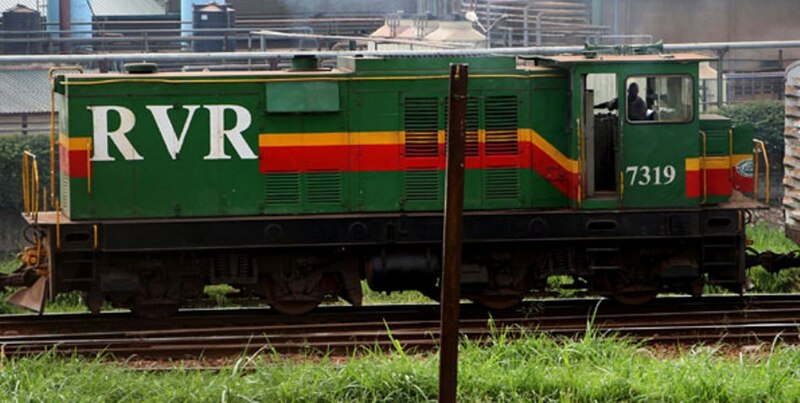 It is this renumbered loco which can be seen at Nairobi Railway Museum. 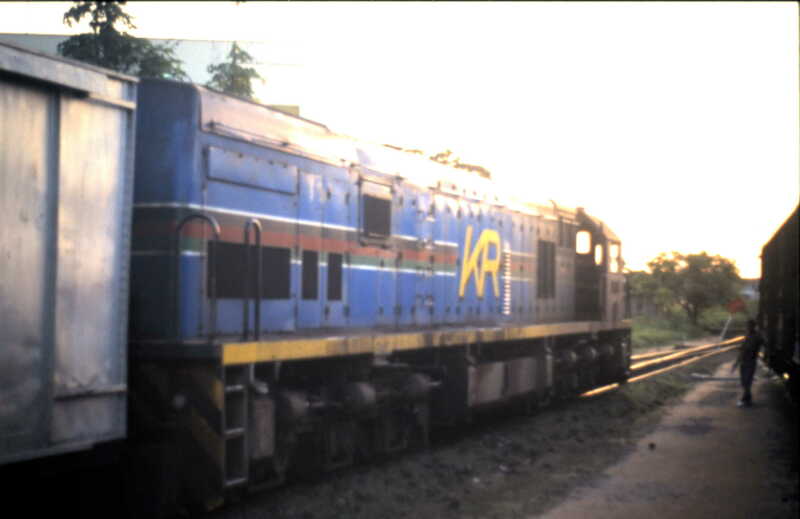 From 1977 onwards existing classes of locomotive were supplemented by others. 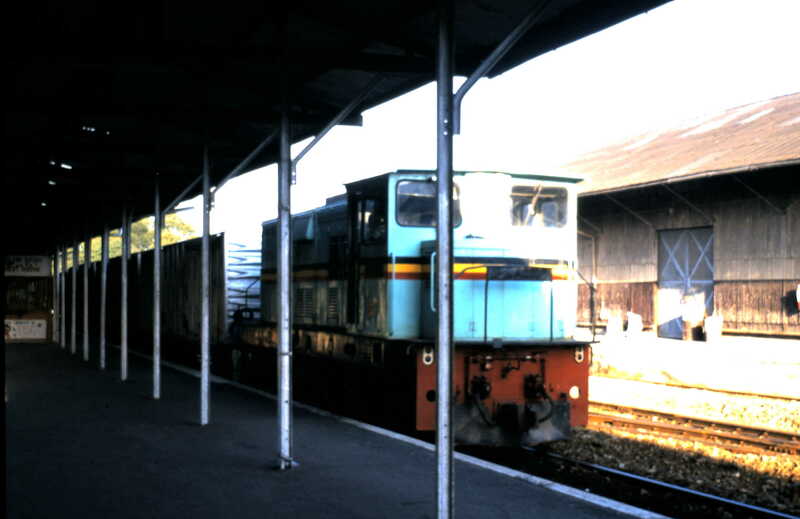 From 1977 to 2006 a number of new locomotives were purchased. 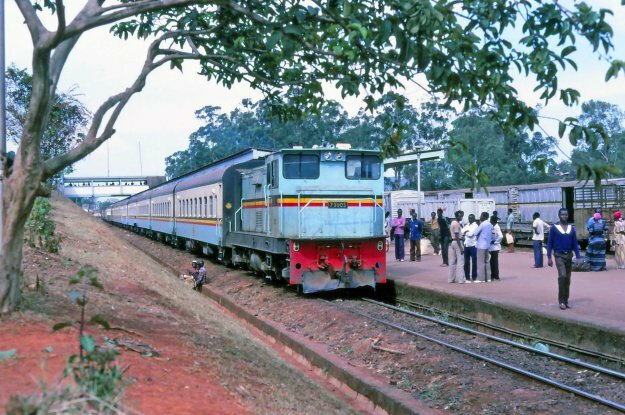 In 1989, government soldiers massacred sixty civilians at Mukura railway station. 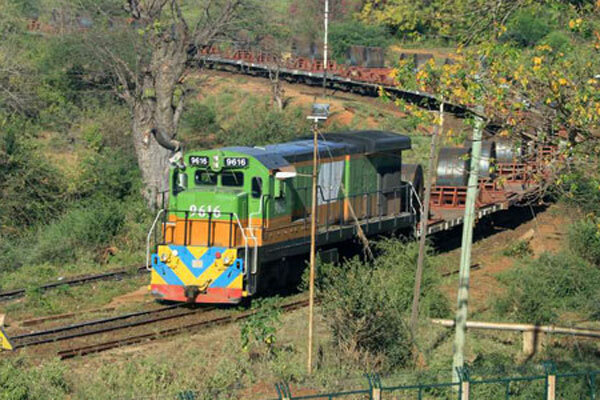 Rift Valley Railways purchased a number of locomotives from General Electric in 2014 and gave them the Class No. 96. 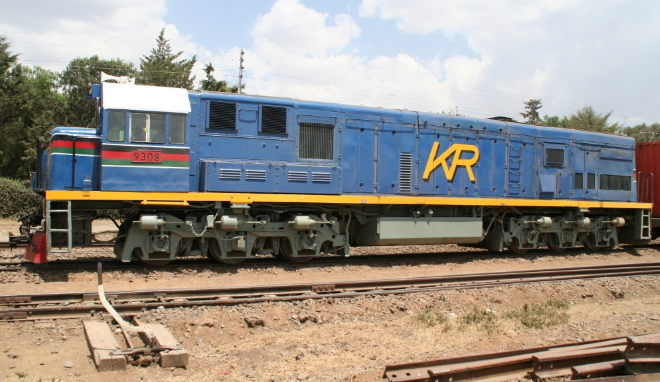 RVR held a ceremony on 18th September 2014 to mark the commissioning of the first three of 20 second-hand GE B23-7 locomotives which were acquired from the USA at a cost of US$25m (2.2 billion Kenya Shillings) and converted from standard to metre gauge. 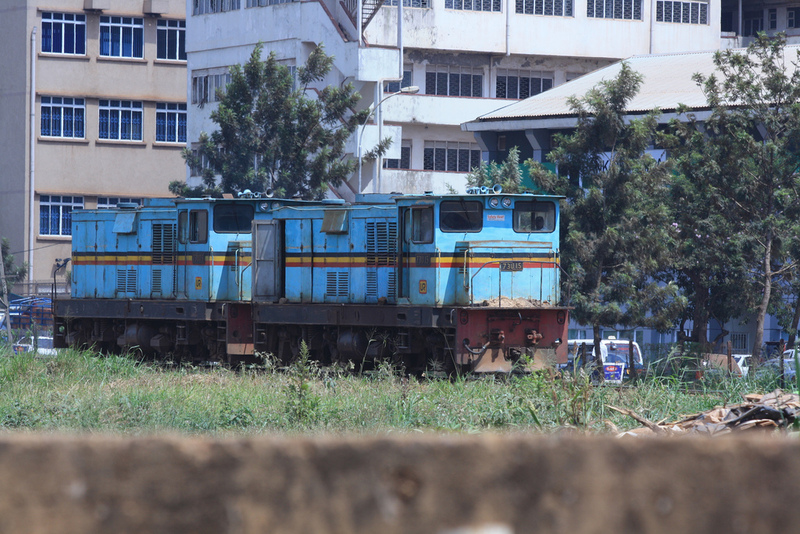 These were the first locomotives delivered to Kenya or Uganda since 1987. The remaining 17 arrived over the following five months. 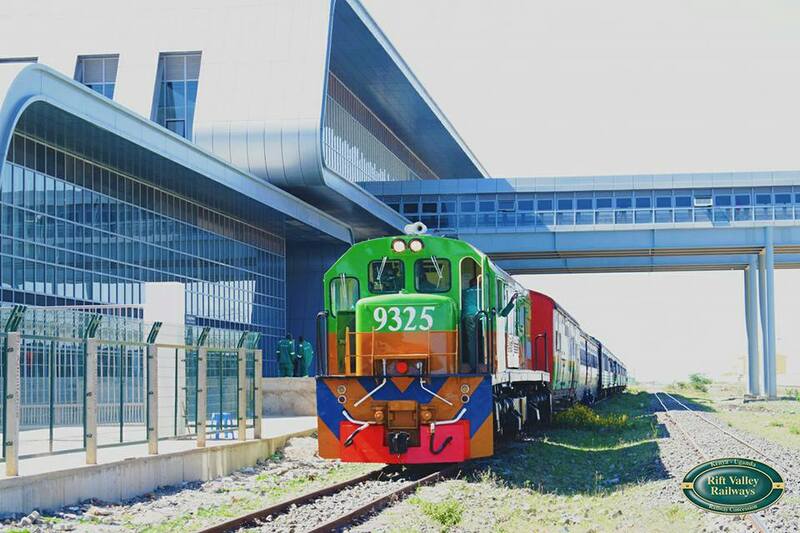 The concession in both countries was terminated in the ‘winter’ months of 2017/2018. 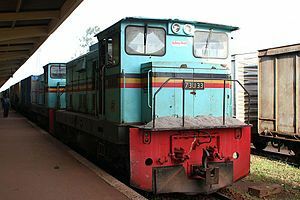 https://en.wikipedia.org/wiki/Kenya_Railways_Corporation, accessed on 1st July 2018.
https://en.wikipedia.org/wiki/Uganda_Railway, accessed on 29th June 2018.
https://en.wikipedia.org/wiki/Tanzania_Railways_Limited, accessed on 1st July 2018.
https://web.archive.org/web/20090319013530/http://www.eac.int/about-eac/quick-facts.html, accessed on 1st July 2018.
https://web.archive.org/web/20080510054423/http://www.eac.int/history.htm, accessed on 1st July 2018.
https://web.archive.org/web/20120426042037/http://www.news.eac.int/index.php?option=com_docman&task=doc_download&gid=48&Itemid=70, accessed on 1st July 2018.
https://www.crwflags.com/fotw/flags/eaf-co.html, accessed on 1st July 2018.
https://www.webcitation.org/5QVn50GvB?url=http://www.ms.dk/sw22171.asp, accessed on 1st July 2018.
https://www.csmonitor.com/2006/0309/p04s01-woaf.html?s=hns, accessed on 1st July 2018.
http://allafrica.com/stories/200705170023.html, accessed on 1st July 2018.
http://allafrica.com/stories/201611300840.html, accessed on 1st July 2018.
https://en.wikipedia.org/wiki/Rail_transport_in_Kenya, accessed on 1st July 2018.
https://www.telegraph.co.uk/news/1507969/Kenyas-Lunatic-Express-back-on-track-to-regain-glory.html, acessed on 1st July 2018.
https://www.nation.co.ke/news/World-Bank-audit-reveals-theft-of-billions-by-top-RVR-managers/1056-3507744-l12u3b/index.html, accessed on 1st July 2018.
http://allafrica.com/stories/201705220131.html, accessed on 1st July 2018.
https://www.businessdailyafrica.com/news/RVR-25-year-deal-to-run-rail-line-is-terminated/539546-3878234-intoa3z/index.html, accessed on 1st July 2018.
https://www.nation.co.ke/news/East-Africa-China-Standard-Gauge-Railway/1056-2310836-vvl2cjz/index.html, accessed on 1st July 2018.
https://www.bbc.co.uk/news/world-africa-40092600, accessed on 1st July 2018.
http://www.railwaygazette.com/news/infrastructure/single-view/view/kenyan-president-launches-sgr-phase-2a-construction.html, accessed on 1st July 2018.
http://www.monitor.co.ug/News/National/Passenger-train-services-resume-Monday/688334-4316028-5l40lxz/index.html, accessed on 1st July 2018.
https://en.wikipedia.org/wiki/Uganda_Railways_Corporation, accessed on 1st July 2018.
http://allafrica.com/stories/200607280144.html, accessed on 1st July 2018.
https://www.newvision.co.ug/new_vision/news/1138005/rvr-kenya-uganda-railways, accessed on 1st July 2018.
http://allafrica.com/stories/200802111925.html, accessed on 1st July 2018.
https://www.theaustralian.com.au/story/0,25197,24472435-643,00.html, accessed on 1st July 2018.
http://observer.ug/news/headlines/57044-ugandans-welcome-revamped-passenger-train-services.html, accessed on 1st July 2018.
https://en.wikipedia.org/wiki/Rift_Valley_Railways_Consortium, accessed on 2nd July 2018.
http://s3.amazonaws.com/inktankir2/qh/9f292a5d-ca58-400e-9b0e-aa3360c0d310.pdf, accessed on 2nd July 2018.
http://nilepost.co.ug/2018/01/29/uganda-railways-takes-over-from-rift-valley-railways, accessed on 2nd July 2018.
https://www.skyscrapercity.com/showthread.php?t=856442&page=56, accessed on 2nd July 2018.
https://www.locopage.net/ge-expt-lst.doc, accessed on 2nd July 2018. 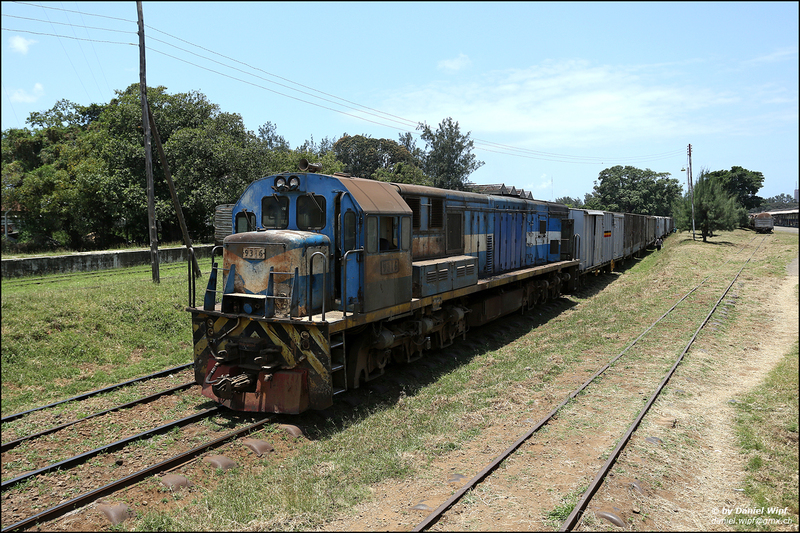 Barrack Otieno; “Kenya’s first private railway”. African Business. 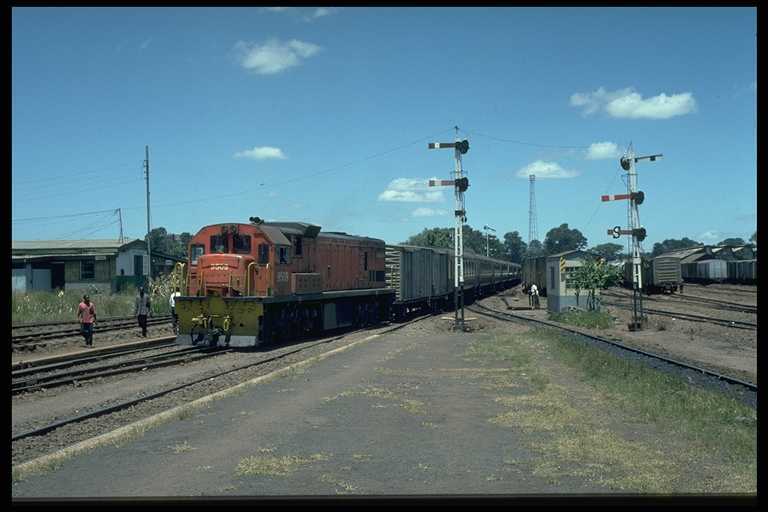 IC Publications, 1998.
https://web.archive.org/web/20120423094001/http://www.railwaysafrica.com/blog/2007/04/new-locos-at-magadi, accessed on 2nd July 2018.
https://en.m.wikipedia.org/wiki/GE_U26C#Kenya, accessed on 2nd July 2018.
http://www.railpictures.net/photo/138955, accessed on 2nd July 2018.
https://www.drehscheibe-online.de/foren/read.php?30,6631799,page=all, accessed on 2nd July 2018.
https://www.pinterest.co.uk/pin/238550111495314802, accessed on 2nd July 2018.
https://www.flickr.com/photos/steam_locos/11595358534/in/photolist-rrHNNQ-nR3g2i-oqxDCT-GrAobd-7RpjAQ-91e7LF-WoMJTg-R1r4so-q3MKeB-nD3vLQ-iErqnD-ju6w8P-nPdgah-quPyPh-dkkxSW-iEDf7J-iEzkv9-WzrzM5-iDJaq6-d8szBb-ohHp6T-eXW5jH-nPk5Z5-iEKvWg-9Dtzzu-iESVKC-djeVYx-iFiks9-iGuMVw-iEzzrK-iEUvUK-d8qNpW-JNAGrr-d8r56b-d8T7NA-AgdaQc-xb2Do-WzrQ4S-iGpoHg-iGBtvZ-iGXsNh-ciQXu5-dXFnAv-7XKyii-mcr9ee-iFkoFj-mct3Nu-7XKNwR-dCRTbK-ciQXgA, accessed on 2nd July 2018.
http://www.railpictures.net/photo/368900, accessed on 2nd July 2018.
http://www.mccrow.org.uk/EastAfrica/EastAfricanRailways/KRDiesels.htm, accessed on 2nd July 2018.
http://innov8tiv.com/kenya-boosts-railroad-fleets-9-locomotives-awaiting-11-come-april-2015, accessed on 3rd July 2018.
http://www.theeastafrican.co.ke/news/2558-446014-vh9vbsz/index.html, accessed on 3rd July 2018.
http://www.theeastafrican.co.ke/business/Kenya-ends-Rift-Valley-Railways-contract/2560-4040424-lofuc0z/index.html, accessed on 3rd July 2018.
http://www.monitor.co.ug/News/National/Government-cancels-Rift-Valley-Railways-deal/688334-4129752-144xd01/index.html, accessed on 25th June 2018.
http://www.railwaygazette.com/news/freight/single-view/view/termination-of-rift-valley-railways-concession-agreed.html, accessed on 3rd July 2018.
https://metickets.krc.co.ke/fleet.php, accessed on 3rd July 2018.
http://www.locopage.net/afr-pics.htm, accessed on 3rd July 2018.
https://www.flickr.com/photos/terriblewithraisins/8946734359, accessed on 25th June 2018.
https://www.flickr.com/photos/usarmyafrica/5117356697, accessed on 20th June 2018.
https://www.pinterest.co.uk/pin/238268636512252863/?lp=true, accessed on 3rd July 2018.
https://www.gettyimages.co.uk/detail/news-photo/vendor-stand-close-to-a-passing-train-on-the-new-service-news-photo/141220567#/vendor-stand-close-to-a-passing-train-on-the-new-service-operated-by-picture-id141220567, accessed on 3rd July 2018.
http://krc.co.ke/madaraka-express-rates, accessed on 3rd July 2018.
http://www.railjournal.com/index.php/africa/kenya-sgr-electrification-contract-signed.html, accessed on 3rd July 2018.
http://allafrica.com/stories/201705310228.html, accessed on 3rd July 2018.
https://sokodirectory.com/2017/06/chinas-imports-kenya-hits-113-billion-shillings-thanks-sgr, accessed on 3rd July 2018.
http://antonytrivet.co.ke/sgr-photography-crbc-mombasa-nairobi-standard-gauge-railway/kenya-railways-standard-gauge-railway-sgr-nairobi-mombasa-testride-mombasa-nairobi-stndard-gauge-railway-crbc-sgr-head-office-kenyan-professional-photographers-sgr-photos-118, accessed on 3rd July 2018. 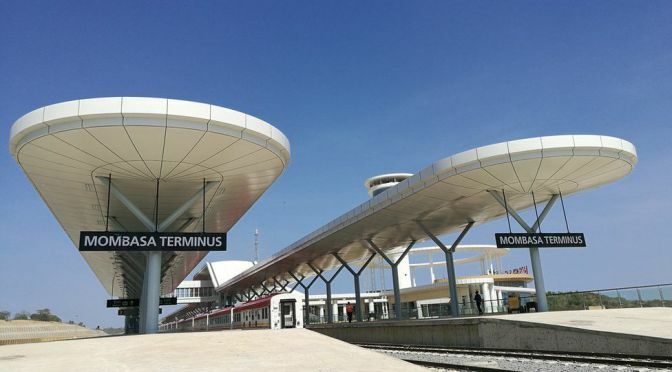 Comments made on the first published version of this post by Thomas Kautzor. 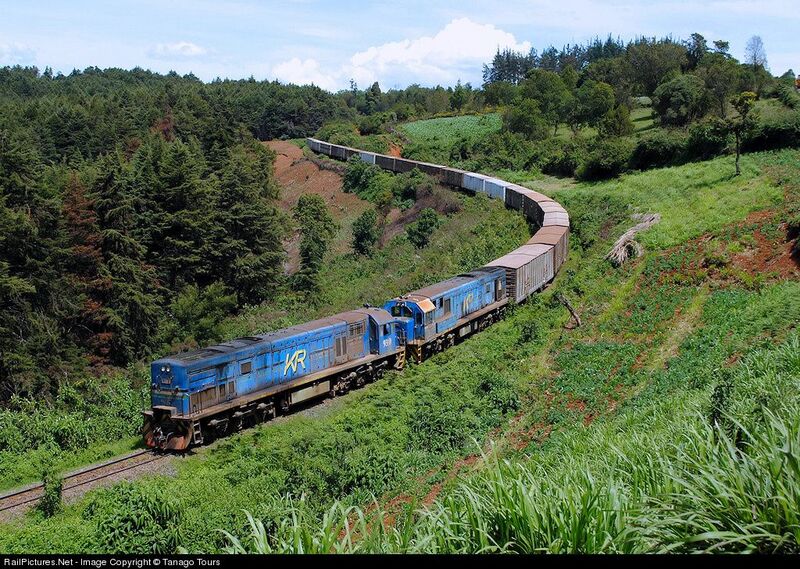 This entry was posted in Railways Blog, Uganda and Kenya Railways on July 3, 2018 by rogerfarnworth. I find it rather interesting that a large number of these were in fact obtained or ordered while Idi Amin was in office (1971-79). 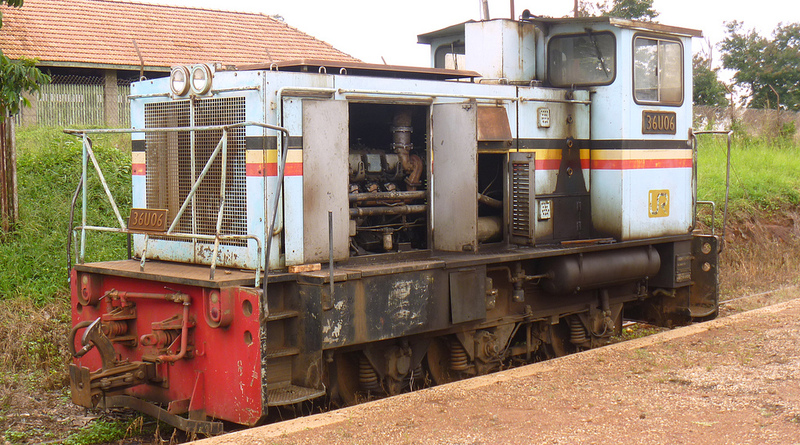 Your list does not include the Ugandan Class 73 locos. Should the list read ’73’ rather than ’72’? Sorry, yes, there were no 72U, these were all 73U. 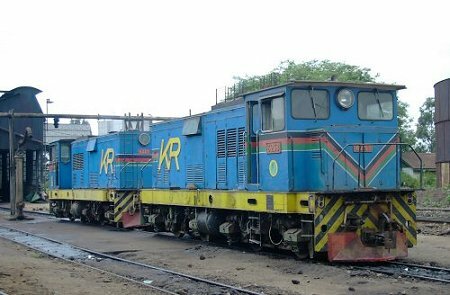 In 08.2010 RVR had 3x ex-URC 62U and 15x 73U in stock (with some of the 73Us renumbered into 73s), while others could be found derelict at Nalukolongo Works. Thank you for your comments. I really appreciate them. As a result, I have an amount of work to do on the text and will do so as soon as possible.